From the year 2000, as the Synod of ROCOR began officially to accept the canonicity of the MP and initiated union talks with it, the Church both inside and outside of Russia that remained faithful to the truth began to separate into so-called “splinters” (oskolki), small Synods not in communion with each other. Most of them claimed that their canonical existence, like that of ROCOR, was based on Patriarch Tikhon’s ukaz no. 362. 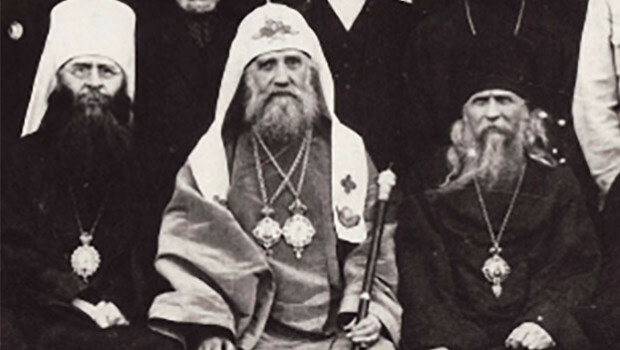 However, as Igumen (now Bishop) Andrei (Erastov) argued earlier this year, strictly speaking, neither ROCOR in the 1920s nor, still less, the “splinters” of the early 2000s, ever corresponded to the conditions for the existence of the autonomous groups of bishops envisaged by the Patriarch’s ukaz, so that a canonical basis for the present-day True Orthodox Church of Russia must be sought elsewhere. Let us examine Igumen Andrei’s argument, and his proposed solution to the problem of the “splinters”. “It is completely obvious,” he writes, “that it is impossible now even to imagine a single administrative centre of the Russian Church. On the other hand, it is possible that its existence would not be useful. Church life, both in Russia and abroad, must be built on the basis of ukaz№362 as the basic guiding canonical document. In correspondence with this ukaz, church districts must be formed on voluntary principles; they must consist of several dioceses (no less than three or four). (A Church can be autocephalous only if can itself and install and judge its own bishops. For the election of a new bishop three diocesan bishops must participate and confirm a fourth as the metropolitan. (Fourth Canon of the First Ecumenical Council.)) These districts will be temporarily autonomous until the restoration of a lawful, canonical Higher Church Authority in the Russian Church. He continues: “Church formations on the model of church districts – the so-called ‘splinters’ – have already been formed among us historically. Of course, these church formations have great faults, for example, the fact that they overlap each other territorially. But they have one important merit – they already exist. Church construction has in mind already existing building material. In fact, the problem of the ‘splinters’ does not lie in their splintering. – this splintering has its positive sides, and is completely canonical. That is how the Church looked in antiquity, and such a splintering is envisaged by ukaz №362. The main problem of the ‘splinters’ lies in the fact that there is no liturgical communion between them, and many of them have no conciliarity. Here at last we come to the nub of the situation. Igumen Andrei correctly observes that ukaz№362 cannot be applied at the present time because conditions have changed radically since the 1920s: communications are better, but there is no central authority for the splinters to communicate with; the splinters overlap each other territorially; and, still more important, there is no agreement in faith and therefore Eucharistic communion between them. However, he still seems to think that, for lack of anything better, we must make do with ukaz №362 as a basis for church unity. But how can an ukaz that cannot be applied to the present situation because of the factors mentioned above form the basis for church unity?! Although the ukaz was undoubtedly inspired by the Holy Spirit and was important for preserving church unity in the Soviet period, it presupposed an already-existing unity in faith which no longer exists; so it cannot be used as a basis for recreating that unity which is the essential condition for any serious work in church building. All of them together? Even when they are not in communion with each other, and when they believe different things? This is “Catacomb Church ecumenism” and quite unacceptable! He continues: “Therefore, before the restoration of a Higher Church Administration, the Russian Local Church must be composed of church districts in liturgical communion with each other. The process of the ‘splinters’’ unification must not be seen in their merging together, into one structure or in the submission of all of them to one centre, but in the establishment of Eucharistic and fraternal communion, instead of the present rivalry, claims and mutual excommunications. Again, we see a confusion between means and ends in Igumen Andrei’s argument. He says that “before the restoration of a Higher Church Administration, the Russian Local Church must be composed of church districts in liturgical communion with each other.” But they are not in communion with each other, so what are they, canonically speaking, and where is the Local Russian Church? Again, he scorns “the present rivalry, claims and mutual excommunications”, but offers no solution as to how to overcome that. 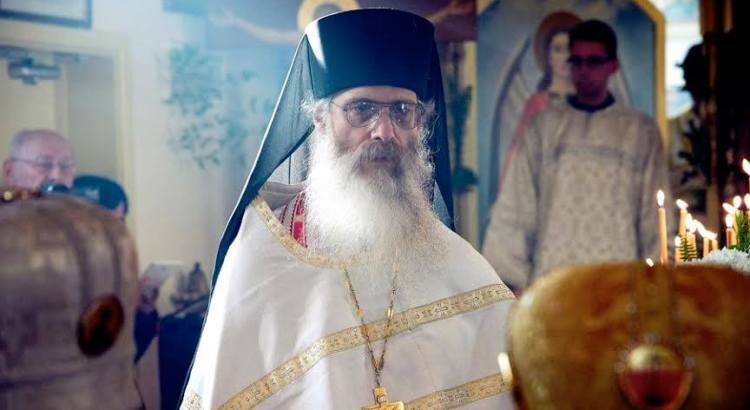 He rejects the solution of “the submission of all of them to one centre” – probably because he himself has fled from “Metropolitan” Agathangel’s attempt to make himself such a centre, “not a part, but the remnant” (ne chast’, a ostatok) of the Church – but also scorns a “merging” of the splinters on any other basis. “A strange picture emerges: the ‘splinters’ are competing for possession of a non-existent heritage. The heritage of the Church Abroad does not consist in any special canonical right – that does not exist, but in the spirit of true churchliness, in the wisdom of the royal path, which unites a firm stand in the truth and the preservation of the tradition of the Church, but without deviating into the extremes of fanaticism and sectarian thinking. Unfortunately, our ‘splinters’ are not worrying at all about acquiring this spiritual heritage of the Church Abroad. “It is to highest degree strange when some small ‘splinter’, not having the slightest moral authority behind it, lays claim to the highest authority over the whole of the Russian Church on the basis of some incomprehensible right of succession from the former ROCOR, as, for example, was said in the ‘Declaration of the Hierarchical Council of ROCOR’”. “Let us examine separately the question of clergy bans to which several ‘splinters’ have been subjected. The hierarchy of the majority of the ‘splinters’ has undoubted apostolic succession, but their canonicity remains under question because these ‘splinters’ at their foundation were evaluated as schism and their episcopate was placed under ban. “Clergy bans can be imposed with various aims and have different meanings. For example, a ban can be imposed for a time, as a punishment for some act. Also, a ban can be imposed on a clergyman under accusation before an ecclesiastical court has judged him. In our case, a ban without time limit was imposed on bishops who had removed themselves from obedience to a church authority and had created their own separate jurisdiction. Such a ban is laid the disobedient so as to return them to obedience. In the history of the Church this has happened many times. Almost every time a ‘daughter’ Church separated from its mother-Church, this was linked with a schism and bans. That was the case, for example, when the Bulgarian Church separated from Constantinople in a self-willed manner in 1872. “There are only three possible ways of removing such a ban and restoring peace in the Church. 1. If the disobedient group of bishops repents and returns into obedience to church authority. 2. If the church authority itself becomes softer and removes the ban. 3. If the church authority is unbending, those under ban can appeal to a higher ecclesiastical instance. For example, in 1935 there was a reconciliation between the Synod of the Church Abroad and Metropolitan Evlogy and Metropolitan Theofil, who returned into obedience to the Synod, and their bans were removed. But in relation to the bans placed on the ‘splinters’ by the ROCOR Synod (for example, on the Suzdal group), the problem consists in the fact that the church authority that imposed the bans no longer exists (since it has fallen into Sergianism), and so it is impossible to be reconciled and freed from the ban. For the ban can be removed only by that Church which imposed it (Apostolic Canon 32; Canon 5 of the First Ecumenical Council) or by a Church Council that is significantly more authoritative. Nor is it possible to appeal to a high ecclesiastical instance, insofar as that also does not exist for us. Of course, many ‘splinters’ claim the right of succession from the ROCOR Synod, but as has already been said, such claims are groundless. Insofar as there is no possibility, according to the canons, of removing the bans imposed by the ROCOR Synod before 2007 or by the Synod Metropolitan Vitaly (2001-2007), it makes no sense to recognize these bans. We have to consider them to be non-existent. These bans could be removed by a common council of the hierarchs of the ‘splinters’. Moreover, how can he be confident that any kind of unanimity will be achieved in this “common council”? And what if the bans are fully deserved and should remain in force? 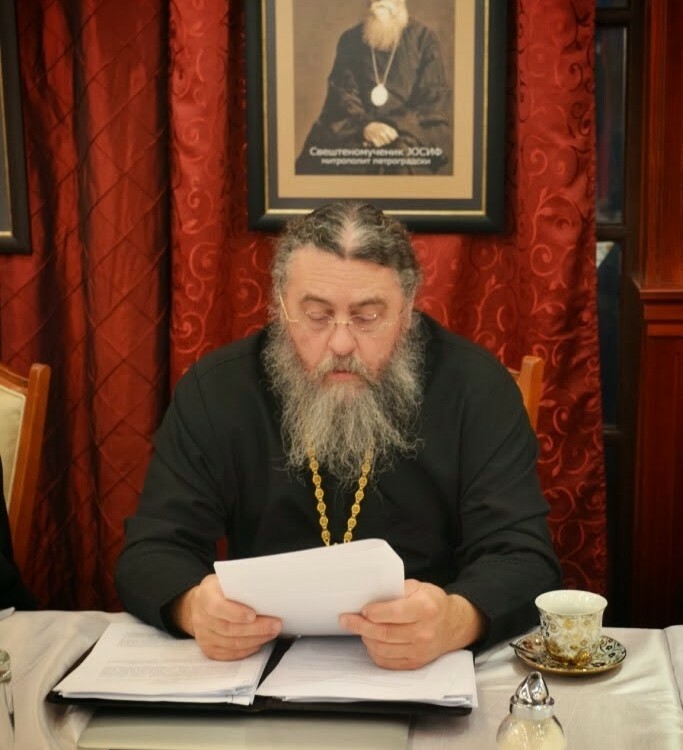 To take just one example: both RTOC and ROAC and the new jurisdiction to which Igumen Andrei himself belongs have strong and justified grounds for refusing to accept “Metropolitan” Agathangel, the leader of the largest of the “splinters”. On the other hand, he says, some of the bans were imposed, “on the basis of incorrect canonical ideas. For that reason it would be possible simply to ignore them.” True – but again, what chance is there of achieving unanimity on this? This definition contributes nothing. How can these “metropolias” overlapping each other and having no community of faith between each other – nor any unifying centre for the resolution of disputes – possibly constitute one Russian Church? The truth is that, while it might be a comforting idea to think that all the “splinters”, however unstable in their beliefs or shaky in their apostolic succession some of them may be, are equally valid branches of the True Russian Church, this is in fact a fantasy – and a dangerous fantasy, for it might encourage the idea that we should be seeking some kind of “lowest common denominator” on the basis of which to unite the Russian Church, which would almost certainly lead to the falling into heresy of the main body of the “reunited” Church. Of course, if the “common Council” were really able to separate the wheat from the chaff, and truth from heresy, there might be some point in it. But questions of the faith and apostolic succession would have to be addressed squarely – and there is no sign that Igumen Andrei’s jurisdiction, for one, wishes to do that. Certainly, the Church’s unity is not constituted by any external organization, but by an inner commonality of faith – that is the main lesson of the Soviet period of Church history. But there remains a persistent demand that this inner unity should be shown, that it be declared. For “with the heart one believes unto righteousness, and with the mouth confession is made unto salvation” (Romans 10.10). The MP is a graceless organization created by Stalin, not by the Lord Jesus Christ. As a long-time collaborator with the Bolsheviks, it falls directly under the anathema of the Russian Council of 1918 against the Bolsheviks and their collaborators. The MP and all the Orthodox members of the World Council of Churches fall under ROCOR’s anathema against ecumenism of 1983. The subtler version of ecumenism known as Cyprianism because of Metropolitan Cyprian of sorry memory also falls under the 1983 anathema. Since it was also condemned as such by the True Orthodox Church of Greece in 1986, all ordinations of Russian bishops carried out by the Cyprianites in 2006 and later are invalid. Of course, this is only a beginning – but it would be a good beginning, which would serve to separate many of the wolves from the sheep. Beyond confessing the true faith, there is one other important thing we can do to attain unity: we can pray for the appearance of a True Orthodox Tsar who will sort out the mess created by the heretics and their collaborators among the True Orthodox; for historically speaking, the external, organizational unity of the Church has been restored only by Orthodox emperors and kings. Again, at the time of the Fourth Ecumenical Council of Chalcedon in 451, when the Emperors were the Holy Marcian and Pulcheria, St. Isidore of Pelusium believed that some interference by these emperors was needed in view of the sorry state of the priesthood: “The present hierarchs, by not acting in the same way as their predecessors, do not receive the same as they; but undertaking the opposite to them, they themselves experience the opposite. It would be surprising if, while doing nothing similar to their ancestors, they enjoyed the same honour as they. In those days, when the kings fell into sin they became chaste again, but now this does not happen even with laymen. In ancient times the priesthood corrected the royal power when it sinned, but now it awaits instructions from it; not because it has lost its own dignity, but because that dignity has been entrusted to those who are not similar to those who lived in the time of our ancestors. Formerly, when those who had lived an evangelical and apostolic life were crowned with the priesthood, the priesthood was fearful by right for the royal power; but now the royal power is fearful to the priesthood. However, it is better to say, not ‘priesthood’, but those who have the appearance of doing the priestly work, while by their actions they insult the priesthood. That is why it seems to me that the royal power is acting justly.” It was acting justly, in Isidore’s view, because “although there is a very great difference between the priesthood and the kingdom (the former is the soul, the latter – the body), nevertheless they strive for one and the same goal, that is, the salvation of citizens”. O Lord, Thou Remitter of the all the debts of sin, grant the grace of forgiveness to the sinful land of Russia which Thou hast punished with bitter wounds. Yet not in Thy wrath, but according to the multitude of Thy compassions and Thine ineffable mercy cleanse the Orthodox land of the godless foe; raise up, O Compassionate One, thine anointed tsar, and hearken unto us; grant peace to the Church and salvation to Thy people, the Tsar and all the countless assembly of new martyrs entreat Thee, the one blessed God of our fathers. Совершенно очевидно, что сейчас нельзя даже представить себе единый административный центр Русской Церкви, с другой стороны, его существование, возможно, и не было бы полезно. Церковная жизнь, как в России, так и за рубежом должна строиться на основании указа №362 – основного руководящего канонического документа. В соответствии с этим указом, должны быть сформированы на добровольных началах церковные округа, состоящие из нескольких епархий (не менее трех – четырех), (Автокефальной может быть лишь та Церковь, которая сама может поставлять и судить своих епископов. Для избрания нового епископа необходимо участие на соборе 3-х епархиальных епископов и утверждение 4-го – митрополита. (4-е правило 1-го Всел Соб.)) Эти округа будут временно автономными, до восстановления законной канонической Высшей Церковной Власти в Русской Церкви. Архиереи округа должны будут избрать из своей среды первоиерарха, в отношении к которому будут исполнять обязанности, налагаемые 34-м Апостольским правилом. Такие округа будут поддерживать между собой евхаристическое общение и тесные связи, выражающиеся в братском общении и взаимопомощи. По временам будут собираться общие соборы для разрешения общецерковных вопросов. Однако, в административном отношении каждый округ будет независимым. Нетрудно видеть, что такая организация Церкви будет возвратом к первохристианским каноническим формам. У нас уже исторически сложились церковные образования, на подобие церковных округов – это так называемые «осколки». Конечно, эти церковные образования имеют большие недостатки, например, то, что они территориально накладываются друг на друга. Но у них есть и одно важное достоинство – они уже существуют. А церковное строительство имеет в виду наличный строительный материал. Собственно, проблема «осколков» не в самом дроблении, – это дробление имеет свои позитивные стороны, и оно вполне канонично. Так выглядела Церковь в древности, и подобное дробление предвидится Указом №362. Главная проблема «осколков» в том, что между ними нет литургическогo общения, и многие из них не имеют соборности. В основание литургического общения между «осколками», как и было в древней Церкви, должны быть положены: православное исповедание и законность иерархии. Евхаристическое общение невозможно только с неправославными, неимеющими правильного рукоположения, или запрещенными клириками. Если этих препятствий не имеется, то нет никакой причины отказываться от совместного служения. Необходимо нам всем осознать ненормальность положения, когда православные архиереи не имеют евхаристического общения друг с другом и нисколько не заботятся об этом. Таким образом, до восстановления законной высшей церковной власти Русская Поместная Церковь должна представлять из себя церковные округа, находящиеся в литургическом общении друг с другом. Процесс объединения «осколков» нужно видеть не в административном слиянии их в одну структуру или подчинении всех одному центру, а в том, чтобы между ними установилось евхаристическое и братское общение, вместо нынешнего соперничества, претензий и взаимных отлучений. Получаетсястраннаякартина: «осколки» соревнуютсязаобладаниенесуществующимнаследством. НаследствоЗарубежнойЦерквисостоитневкаких-тоособыхканоническихправах – ихнет, авдухеистиннойцерковности, вмудростицарскогопути, соединяющеготвердоестояниевистинеихранениепреданияЦеркви, нобезуклонениявкрайностифанатизмаисектантскогомышления. Ксожалению, остяжанииэтогодуховногонаследстваЗарубежнойЦерквинаши «осколки» нискольконезаботятся. Ввысшейстепенистранно, когдакакой-нибудьмаленький «осколок», неимеязасобойнималейшегоморальногоавторитета, претендуетнавысшуювластьнадвсейРусскойЦерковью, наоснованиикакого-тоневнятногоправопреемстваотпрежнейРПЦЗ, как, например, этобылосказановнедавнем «ЗаявленииАрхиерейскогоСобораРПЦЗ». «Осколкам» нечегоделитьинеиз-зачегосоперничать. Всеониявляютсявременно-самоуправляющимисячастямиРусскойПоместнойЦеркви, независимооттого, гдеонинаходятся, вРоссииилизарубежом, икакойбыаббревиатуройонисебяниназывали. Однако, имнужноорганизоватьсянаначалахсоборности, согласносУказом№362, чтобыиз «осколков» статьканоничнымиЦерковнымиОкругами. Отдельнорассмотримвопросзапрещенийвсвященнослужении, которымподверглисьнекоторые «осколки». Иерархиябольшинства «осколков» имеетнесомненноеапостольскоепреемство, ноканоничностьихостаетсяподвопросом, из-затого, чтоэти «осколки» присвоемобразованиибылирасцененыкакрасколиихепископатбылподвержензапрещению. Запрещениявсвященнослужениимогутбытьналоженысразличнойцельюиимеютразличныйсмысл. Например, запрещениеможетбытьналоженонавремя, какнаказаниезакакой-либопроступок, такжезапрещениеналагаетсянаобвиненногоклирикапреждецерковногосуданадним. Внашемслучаебессрочноезапрещениебылоналоженонаепископов, вышедшихизповиновенияцерковнойвластиисоставившихсвоюотдельнуююрисдикцию. Такоезапрещениеналагаетсянанепослушных, чтобывернутьихкпослушанию. ВисторииЦерквитакоеслучалосьмножествораз. Почтикаждыйраз, когдапроисходилоотделение «дочерней» ЦерквиотЦеркви-матери, этобылосвязаносрасколомипрещениями. Такэтобыло, например, когдаБолгарскаяЦерковьсамовольноотделиласьотКонстантинополяв 1872 г.
Например, в 1935 г. произошлопримирениемеждуСинодомЗарубежнойЦерквиимитр. Евлогиемимитр. Феофилом, которыевернулисьвпослушаниеСиноду, иснихбылиснятызапрещения. Новотношении «осколков», запрещенныхСинодомРПЦЗ, (какнапример, Суздальскаягруппа), проблемасостоитвтом, чтобольшенесуществуетцерковнойвласти, наложившейэтозапрещение (т.е. онавпалавсергианство), итакимобразом, нетвозможностипримиритьсяиосвободитьсяотзапрещения. АзапрещениеможетбытьснятотолькотойЦерковью, котораяегоналожила, (Ап.правило 32; 1-гоВсел. Соб. 5-еправило) илицерковнымсобором, значительноболееавторитетным. Такженетвозможностииапеллироватьквысшейцерковнойинстанции, посколькуеедлянастакженесуществует. Конечно, многие «осколки» претендуютнаправопреемствоотСинодаРПЦЗ, нокакужебылосказано, такиепретензиибеспочвенны. Посколькунеимеетсявозможностипоканонамснятьпрещения, наложенныеСинодомРПЦЗдо 2007 г. илиСинодоммитр. Виталия (2001 г.-2007 г. ), тоуженеимеетсмыслапризнаватьэтипрещения. Ихнужносчитать, какнебывшие. Этипрещениямоглибыбытьснятыобщимсоборомархиереев «осколков». Чтожекасаетсявзаимныхзапрещений, наложенныхужеиерархией «осколков» другнадруга, тоэтизапрещениябылиподчасналоженынаоснованииневерныхканоническихпредставлений. Поэтойпричинеихможнобылобыпростоигнорировать. ВзаключениеприведусловаодногоизисповедниковРусскойЦеркви: «Изисториимывидим, чточастейЦерквиВселенскойничтоподчаснеобъединяло, кромепричащенияотЕдиногоХлеба-Христа, одноговозглавлениянанебесах… Церковьнегибнет, когдавнешнеееяединстворазрушается. Онанедорожитвнешнейорганизацией, заботясьосохранениисвоейистины. Holy Transfiguration Monastery, “The Seat of Moses”, quoted in The Life of our Holy Father Maximus the Confessor, Boston, 1982, p. 65. The Seven Ecumenical Councils, Eerdmans edition, pp. 488, 489. St. Isidore, Tvorenia (Works), Moscow, 1860, vol. 3, pp. 400, 410. St. Isidore, quoted in M.V. Zyzykin, Patriarkh Nikon, Warsaw, 1931, vol. I, p. 244. Service to the Royal New Martyrs, July 4, Mattins, Canon, Ode 7, troparion.